Most of my decluttering this month has been spontaneous. 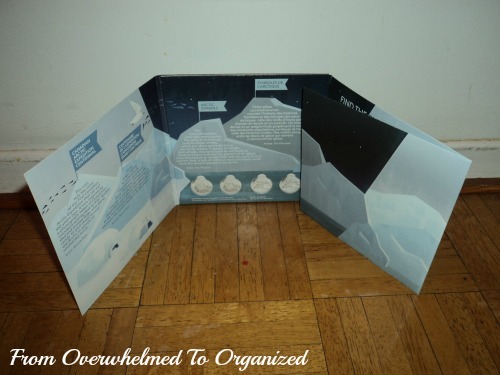 Whenever I was getting an item out, putting something away, or working on a task, if I felt annoyed because it was too difficult to do what I was doing, I checked to see if there was clutter in my way. Usually there was. So I decluttered and then moved on with whatever I was doing. Felt good at the time and it continues to feel good to not be annoyed when I'm trying to complete basic tasks! 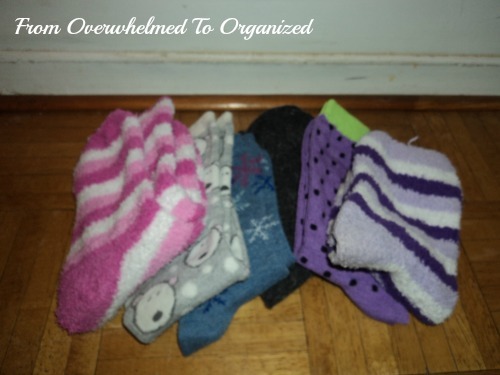 I was putting away laundry and my sock drawer was getting too full so I decluttered 6 pairs. I ran out of homemade laundry detergent but I knew we had a bunch of samples to use up, so before making a new batch I grabbed a sample. Except a whole bunch of fabric softener samples fell out of the cupboard when I did. 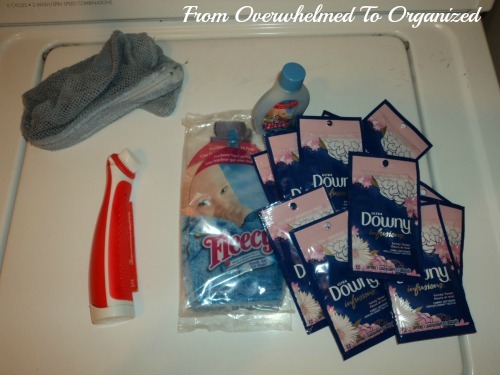 We don't even use fabric softener (I thought they were scent booster samples), so I Freecycled them, along with a Tide stain remover stick and a mesh bag. 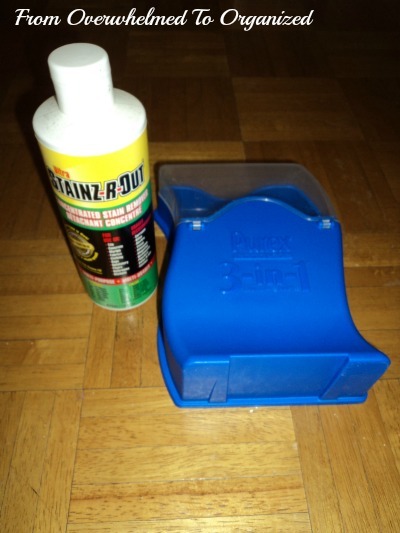 I also recycled 2 containers that I'd been hanging on to so I could refill them, but we don't use these products anymore, so they're gone. I put away some of our winter gear and purged 2 scarves I didn't wear this year. We're still transitioning out of winter and into spring here as far as temperatures go, but hopefully I'll have lots more winter gear to pass down before next month's update! 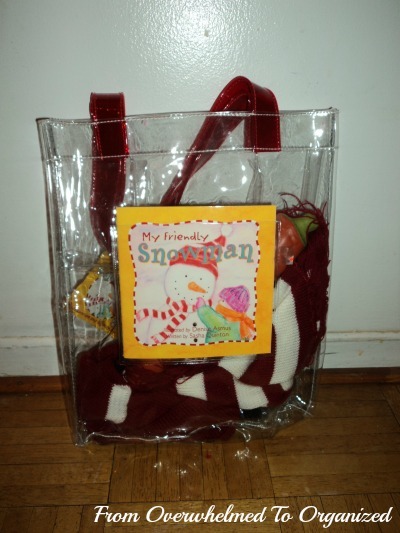 I also gave away this snowman making kit. My kids are more into making forts than snowmen so I wanted to pass this on to someone who would be able to use it more than we did. 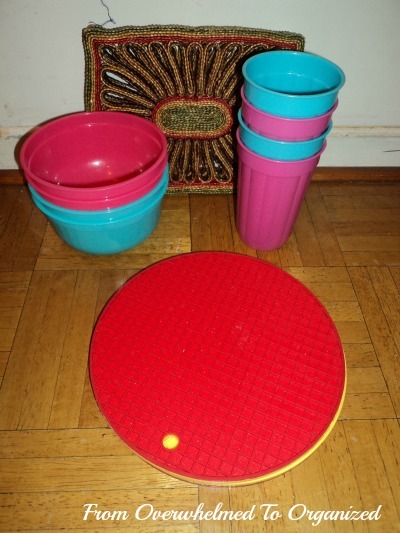 As I pulled out the Easter and spring decorations, I set aside 6 items. 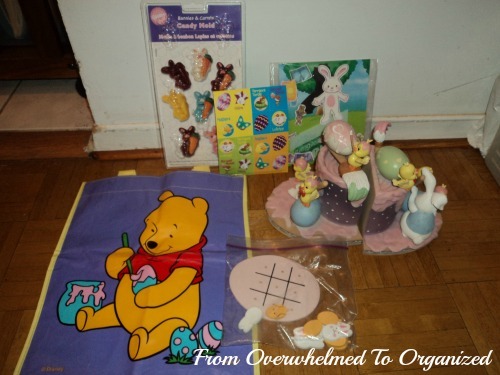 I donated the book ends, and I Freecycled the chocolate mold, Tic Tac Toe game, bunny magnet set, Winnie the Pooh bag, and matching game. 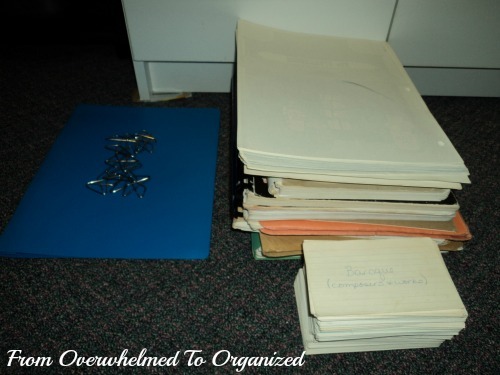 I did a little "intentional" decluttering too! I have 4 bins with books in my basement that I'm working my way through. This month I tackled the bin with my old piano and music books. I recycled 3 files of music course notes, 2 old notebooks, 4 music workbooks, and a stack of my old flashcards. I also tossed a bunch of rusty clips and 1 folder with rusty hinges. I also set aside a bunch of old piano books and music books that I plan to Freecycle (I won't count them yet since I haven't actually listed them yet). 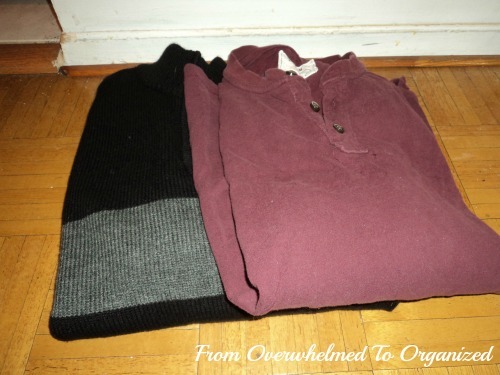 My hubby did a little decluttering too and donated 1 sweater and 1 shirt. All totaled, that makes 114 items decluttered this month! Which brings my challenge total to 472 items so far. 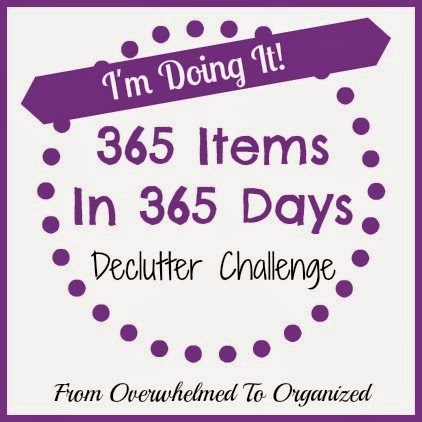 I've passed my goal of 365 items in 365 days, but I'm planning to keep decluttering! 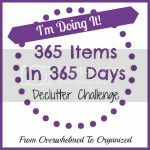 I've got lots more clutter in my home... but it feels great to be doing this challenge with all of you and making progress! 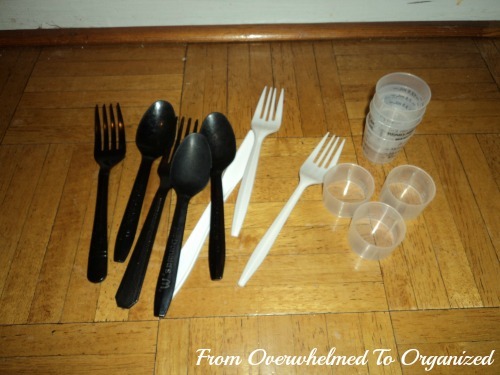 I hope my spontaneous decluttering has inspired you to look around your home with fresh eyes! Whenever you're annoyed when you're trying to do something, look around and see if there's some clutter nearby that's getting in your way! 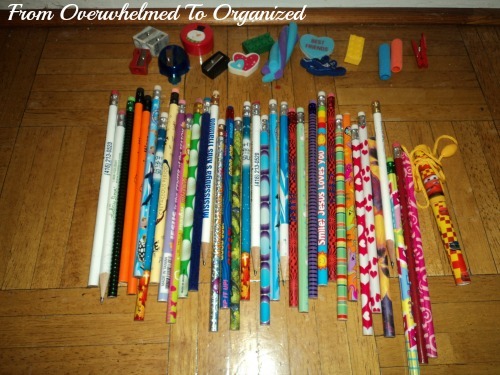 Do that every day and you'll have a less cluttered home in no time! 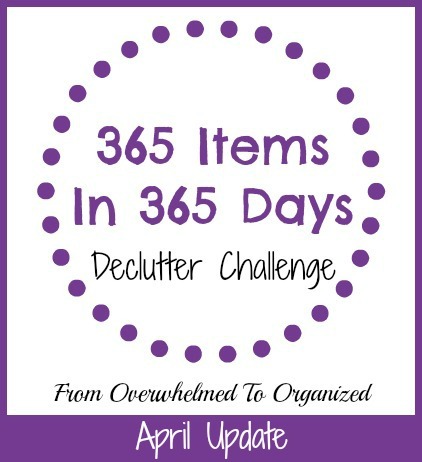 What did you declutter this month? 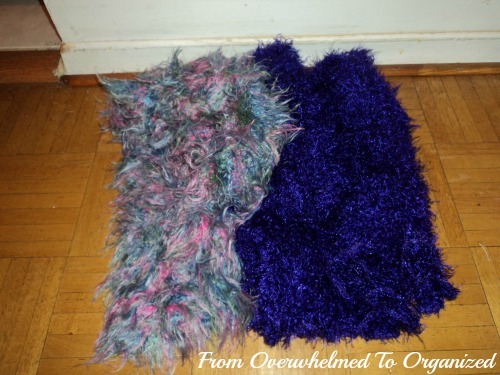 Have you ever spontaneously decluttered? Have you joined the 365 in 365 Challenge yet? I like this challenge. I am always decluttering, but I think I need to do it more mindfully. Hilda , Where have you BEEN all my life!!!!? 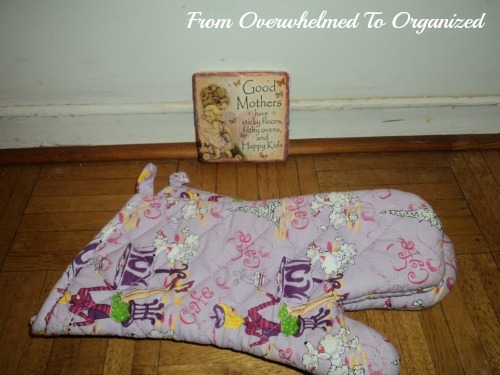 I LOVE your blog and cannot wait to join in.For the first time your tips make sense in my chaotic cluttered life. I just happened to find you via A Bowl Full of Lemons (love her also). LOL Yvonne :) Glad to have you aboard! I love A Bowl Full of Lemons too. 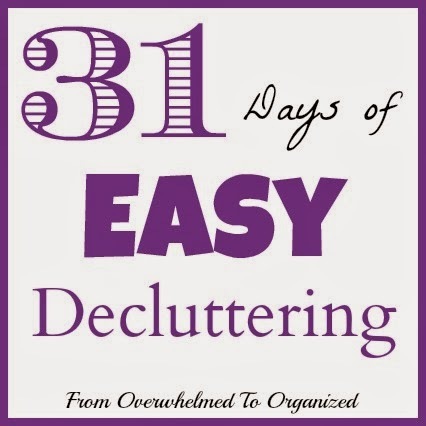 Happy decluttering! Great job so far...exceeding that goal and everything! I tend to spontaneously declutter. I even have a donate bin in my closet so I have a place to put those things I no longer need until I can get them to a charity or sold at a garage sale.